I won this jumpsuit last year from the lovely Lara and it fits like a glove. When I first got it, I was worried the jumpsuit would wear me instead of the other way around but I hope I've managed to pull it off. What I love about it is it's an outfit sorted - just throw it on and go. 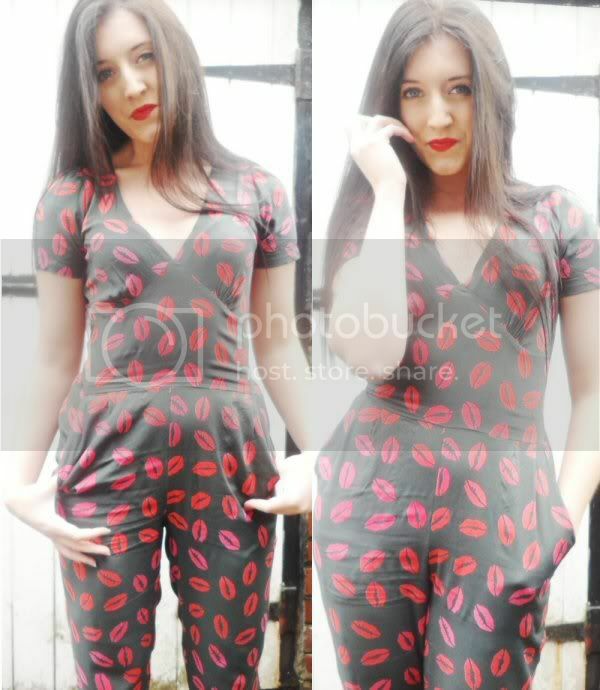 And obviously the red lipstick kisses are right up my street since I'm an avid wearer!